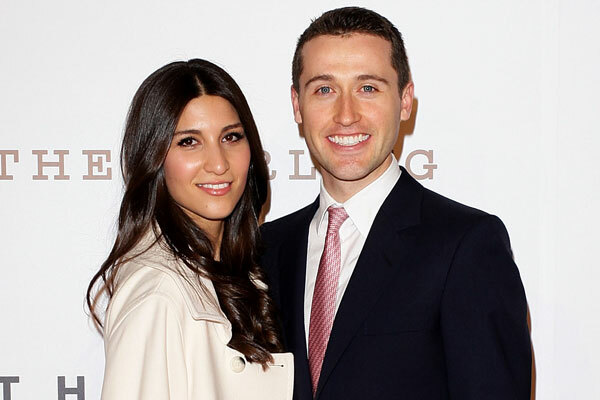 Bookmaker Tom Waterhouse, and his wife Hoda, welcomed their first child on March 3 and have named their daughter Rose. Rose Waterhouse was born in a North Shore maternity hospital in Sydney at 3 pm, weighing 4.1 kg (just under 9lb). Thomas or “Tom” is a fourth-generation bookmaker, and the great-grandson of one of the first official bookmakers in Australia, Charles Waterhouse. His grandfather T.J. Smith was a horse trainer, and his mother Gai Waterhouse (nee Smith) is one of Australia’s leading horse trainers. His father Robert “Robbie” Waterhouse is also a bookmaker. Tom launched his online business in 2010, making him the youngest online bookmaker in the country. Hoda (nee Vakili) is an architect; she and Tom met at Sydney University, where they were both students. Tom and Hoda were married in Italy in 2011.